Dino Michaels was born in Miami, Florida and graduated from Florida State University in 1979 with a Bachelor of Arts degree in Government. He obtained his Juris Doctorate degree from Nova University Center for the Study of Law in 1983. 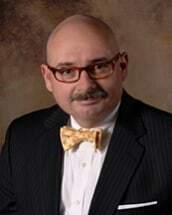 As a former Pinellas County Public Defender, Dino acquired extensive knowledge of the court system and trial practice. Dino is an aggressive, creative and skilled criminal trial attorney who has won acquittals in over 80% of his jury trials.Dino has been successful in arguing many major criminal issues including consent in sexual battery cases, entrapment in 25 year minimum-mandatory drug trafficking cases, necessity in driving while license suspended cases and ketosis (due to fasting) in DUI cases. Dino's criminal defense experience also includes the successful defense (acquittal) of many misdemeanor and DUI trials. Dino is also an effective litigator in working for clients immediately post-arrest to prevent charges from being formally filed and in filing legal motions which prohibit the State from proceeding on the cases. In additional to felony and misdemeanor cases in both State and Federal Court, Dino is also experienced in DUI, Juvenile, Domestic Battery and Traffic Court matters. Dino also holds memberships with the National Association of Criminal Defense Lawyers, the Florida Association of Criminal Defense Lawyers, the Pinellas County Association of Criminal Defense Lawyers, and the Hillsborough Association of Criminal Defense Lawyers. Dino is admitted to practice in all Florida State County and Circuit Courts as well as the United States Middle District of Florida. Dino speaks Greek and is fluent in Spanish.